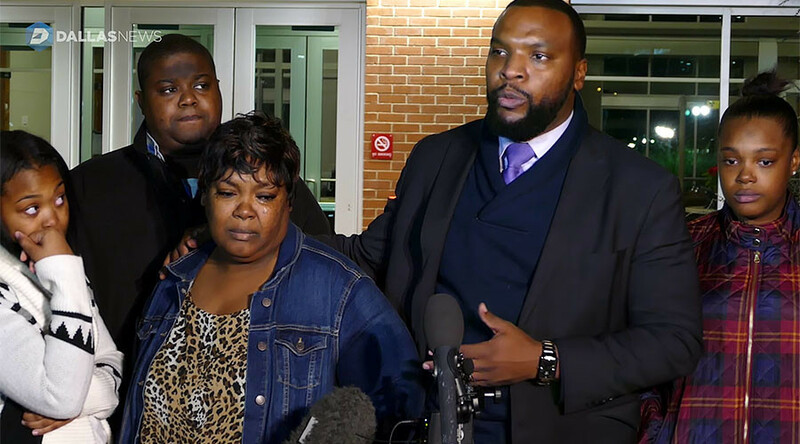 The aggressive arrest by a white Texas police officer of a black woman who had called police to report an assault of her young son was "obviously racist," a group of pastors said, while the Fort Worth police chief and mayor denied race was a factor. Video of an arrest in Fort Worth, Texas, on Wednesday has sparked outrage in the city and beyond, as the recording shows a police officer belittling, then aggressively arresting Jacqueline Craig, who had phoned police to say a neighbor had grabbed her seven-year-old son by the neck for alleged littering. 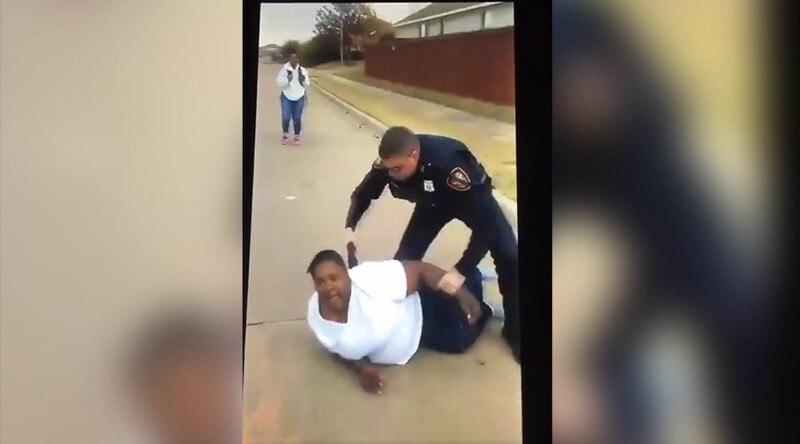 The Taser-wielding officer, who the Fort Worth Police Department has refused to identify pending an investigation, then arrested Craig's two daughters, ages 15 and 19. The neighbor, who is white, was not arrested. 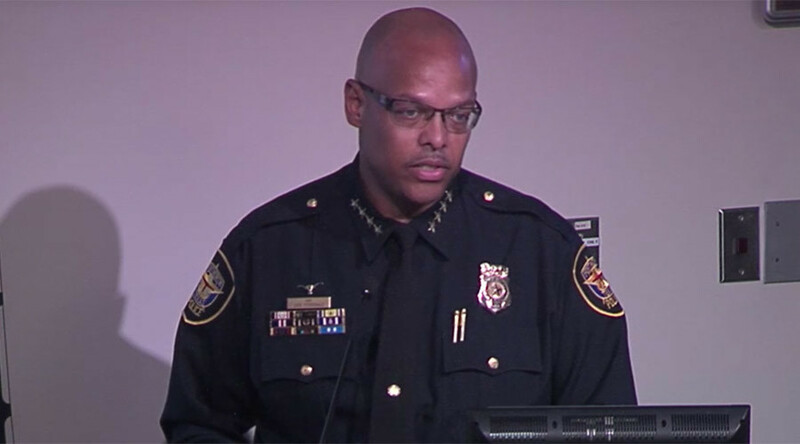 On Saturday, a group of more than 40 African-American pastors in Fort Worth convened a press conference to denounce the officer's actions and counter the official narrative, offered one day prior by the Fort Worth police chief, that the arrests were not racially motivated. "The conduct of this Fort Worth officer was obviously racist," said Michael Bell, of the Greater St. Stephen First Church, according to the Star-Telegram. "Any efforts to recast or spin the narrative only serves to make a bad situation worse." The African-American community has no faith in the officer involved in the arrest of Craig and her daughters, said B.R. Daniels Jr., of the First Greater New Hope Baptist Church. "We do not trust him to carry a gun nor does he have our permission to come in our community and enact deadly force," Daniels said. "He has lost credibility in our community." Daniels added that the group of pastors is hopeful about the investigation and is not condemning the entire Fort Worth police force. The pastors called for calm among the city's residents as the investigation occurs. On Friday, Fort Worth police chief Joel Fitzgerald insisted that while the officer was "rude," he said, "I can't call [the incident] racism,"according to the Fort Worth Star-Telegram. "What I can say is that I noticed in the video that the officer was rude," Fitzgerald said at a news conference. "And there is a difference between rude and racist." The press conference included other Fort Worth-area officials, all of whom were unified in their careful condemnation of the officer. Mayor Betsy Price called the arrest an "isolated incident" that should not be used as an indictment of the entire Fort Worth Police Department. Price said, “we do have concerns about some of the actions seen on the video," adding that an internal department investigation is ongoing. Fitzgerald said police are interviewing witnesses of the incident. "Ninety-nine percent of our officers" would not have handled the encounter as the officer did on Wednesday, he said. Video of the police encounter, posted on the Facebook account of Porsha Craver, Craig's cousin, has been viewed more than three million times. The video begins around two minutes after the officer arrived on the scene, according to police spokesman Marc Povero, who added that the officer's body camera footage will not be released while the investigation is ongoing. In the video, the officer is seen listening to Craig's explanation of what she was told had happened to her son, making the point that the neighbor should have addressed her about the littering and not taken discipline into his own hands. "Why don't you teach your son not to litter?" the cop then asked. "It doesn't matter if he did [litter] or didn't, that doesn't give him the right to put his hands on him," Craig responded. "Why not?" the officer replied, heightening tensions at the scene. When Craig's 15-year-old daughter, Jacques Craig, attempted to stand between her mother and the officer, the cop grabbed her, then quickly released her to focus on the elder Craig, wrestling her to the ground. He eventually arrested them both, as well as Craig's 19-year-old daughter, Brea Hymond. All were released from police custody by Thursday afternoon. "Instead of being able to protect her or her child, she was assaulted," said Lee Merritt, an attorney for the family, at a press conference on Thursday. "Two of her children were arrested and terrorized. And it sent a signal to the seven-year-old, who was just assaulted by a neighbor, that he could never rely on police officers for protection. Because when police were called to protect him, they arrested his mom and his sisters. That's an attack on this family, but it's an attack on the African-American community. And I believe that's why you're seeing such a strong reaction, really across the world." Around 150 people gathered Thursday night at a rally in protest of the arrests. A GoFundMe page was set up to help the Craig family with legal expenses. Merritt has called for a drop of all charges against the family— those range from disorderly conduct to resisting arrest — as well as the termination of the officer's position with the Fort Worth Police Department, a criminal prosecution of the officer "for his felony assault of my clients," and the prosecution of the neighbor who allegedly assaulted Craig's young son.